Home / Mobile Buying Tips / Mobile Phone / Online Shopping Tips / Tips / How to find best Mobile Phone for you? How to find best Mobile Phone for you? There are dozens of mobile phone companies selling hundreds and thousands of mobile phone models with a variety of features and specifications; from basic features of calling and messaging to many advanced features. People often get confused while shopping and selecting a mobile phone. There might be many reasons for it but one of the main reasons is that customers hang up between different mobiles and their proclaimed features. Here I have summarized all the major features and aspects which should be considered before selecting a mobile phone. With the help of following points, you can make a list of mobiles which are suitable for you. Price of a mobile is the key factor. 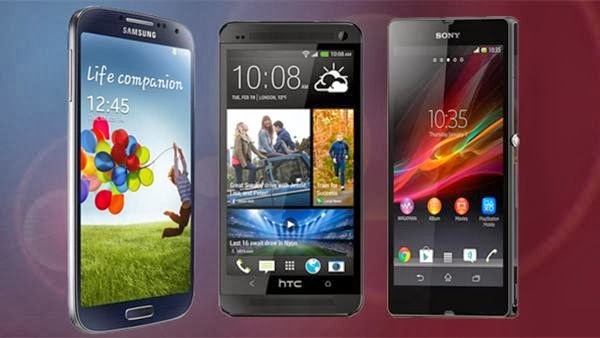 You must be within your budget, so all the mobiles which are out of your budget may be delisted in the beginning. Many people buy latest mobile that have features which are either not used by the user or even not supported in the country so the user have paid higher price for some useless features. I know many people who use their cell phones only for making calls and texting while few of them even don’t use messages but they keep precious smartphones. It doesn’t mean that people should not buy latest models but they should buy, keeping their needs in mind. If a simple mobile or a mobile with some basic features e.g. memory card, audio/ video player, FM radio, camera can fulfill their requirements then what is the reason to buy a phone with bundle of ultra advance features. Prices of mobiles with aforementioned specifications, started from 2500 rupees. Operating system is also one of the main factors now a day. Android, Windows, iOS, BlackBerry and Symbian are most popular operating systems these days. So, if you like any specific operating system, go for it. Touch screens are in trends. People often like large size touch screens to enjoy videos and for web surfing. Here also you should consider your requirements about type of screen and its size. Select a mobile which powerful processor and RAM to support your applications. Internal memory should also be sufficient. Check either it support memory card or not but if it has internal memory more than 16GB, then memory card is not a big issue because 16GB to 32GB memory of a mobile phone is enough. A fast processor has a big impact on overall performance, such as how smoothly a smartphone flips through menus and running home screens. Now days almost every mobile is equipped with Bluetooth which is being commonly used in laptops and mobiles for data transfer. WiFi, 3G, PC Connectivity might be ensured before buying a mobile phone. PC connectivity is very useful for easy synchronization and data sharing between mobile and PC. WiFi becomes very common for data connectivity. 3G technology is just to launch in Pakistan. A good quality camera is also very essential for a smartphone. But good quality doesn’t only means high Mega Pixels; lens quality, flash light, light sensor, auto focus, shutter lag etc are also important for quality images and videos. Sharper photos can be taken from a 5MP camera than from an 8MP camera, so it's better to ponder on other specs too. If you use video calls, then also check secondary camera. You should wisely decide between touch keypad, numeric keypad and full QWERTY keyboard. Battery holds power to run all the functions of a phone so if your phone has too many functions including large screen and flash light then it definitely requires more power. To support all the running features for a sufficient time, battery of a phone must be powerful with high mAh as you would not be happy with a mobile which ask for charging many times a day. Very well written article. I think the biggest concern for buyer is price but unfortunately in Pakistani online market prices are too high but few online shopping sites like Symbios and Kaymu.pk are offering normal mobile prices in Pakistan. According to my personal experience one product which is available in market in 7k will not be available online in less than 8k on many sites. Mobilenmobile.com really does contain it all.If you however can not discover what is mobile price in pakistan and everything you are seeking then have a look at our cellular phone hunter,that allows you to research by telephone form,manufacturer and price.We are positive to own the one which matches your needs.Once you have discovered the cellular you are seeking,surf our array of cellular phone components from themes and instances to chargers and batteries. Offers and presents can be found on picked goods as well.Go forward and knowledge why searching ticks here. I have Voice Xtreme v75.. Its nice phone..